Larry and Audrey are a Boston based traditional duo playing for contra dances and concerts. Guitar and banjo player Larry Unger and fiddler Audrey Knuth are a Boston based traditional duo who play exhilarating tunes with driving rhythms. Their concerts feature American and Celtic tunes with elements of other traditions including swing and blues. They also draw from Larry's catalog of original fiddle tunes, which have been featured in several of Ken Burns’ documentaries. 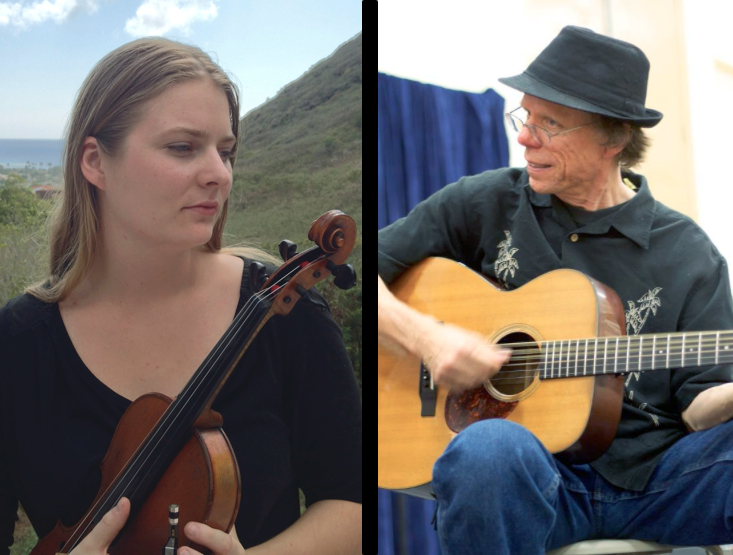 Declared a “guitar genius” by Sing Out Magazine, Larry Unger joins fiddler Audrey Knuth for an unforgettable evening full of stirring musical experiences.